Have you or a family member been recently told you have cataracts? You may feel confused and unsure about where to start. Do you need cataract surgery? What is a cataract? Keep reading to get answers to your FAQs about cataracts! A clouding of the lens of the eye. As a cataract develops, it creates blurry vision and other impairments. Q. How does a cataract form? A cataract forms when proteins in the lens of the eye migrate to the center of the eye. Once in the center, they slowly begin clumping together and impede vision. There are many factors but the most common risk factors are aging, diabetes, smoking, and UV exposure. Q. What are the symptoms of cataracts? Cataracts can also affect your night driving. Many patients with cataracts struggle with seeing far, making close up tasks impossible. This can include tasks like reading, or relaxing with a favorite television show. Q. Can I prevent cataracts? Cataracts are not preventable. But there are risk factors that you can avoid to lower your chances of early development. Q. How can I lower my risk for developing cataracts? Q. How prevalent are cataracts? By the age of 80, more than half of Americans will already have had cataract surgery or have a cataract. The odds of you developing a cataract is much more likely as you get older, since your risk increases with age. Q. When do cataracts tend to develop? Cataracts are often referred to as an ‘age-related’ disease, but the term is a bit misleading. Many patients actually start developing cataracts in their forties. But the process of a cataract developing can take years, if not decades! Most patients with a cataract don’t realize they have one until it’s impeding their vision. Q. If I can’t prevent cataracts, what can I do? See your eye doctor for regular eye examinations. Early diagnosis and treatment is always best. 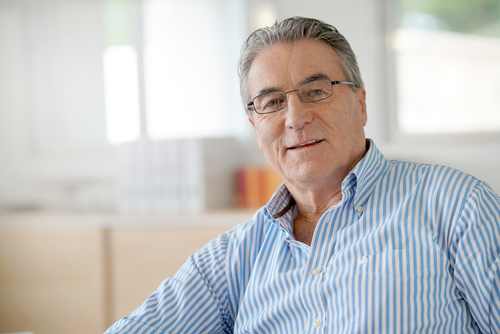 When you treat cataracts, you may start by wearing prescription glasses. You should also wear protective eyewear outdoors. As your cataract continues developing, you will need to consider cataract surgery. Cataract surgery becomes necessary when other treatment options are no longer effective. At this point, your vision has become impeded and everyday tasks are much more difficult. Q. What happens if cataracts are not treated? Without treatment, cataracts can lead to total loss of vision. There’s no reason to let this happen! Cataract surgery is a safe and reliable procedure that leads to clear vision. Want to deal with your cataracts? Schedule a cataract appointment with Stahl Eyecare Experts in the Long Island area!